The week leading up to Minneapolis will likely be remembered as one of the most talked-about moments in the history of the Monster Energy Supercross series. For as long as I can remember, the relationship between racers and promoters has been tumultuous. Feld is still actively working with all the riders to compensate for their nasty chemical burns and damaged equipment, but some don’t feel it is enough. Let’s hope for a manageable solution for all involved. 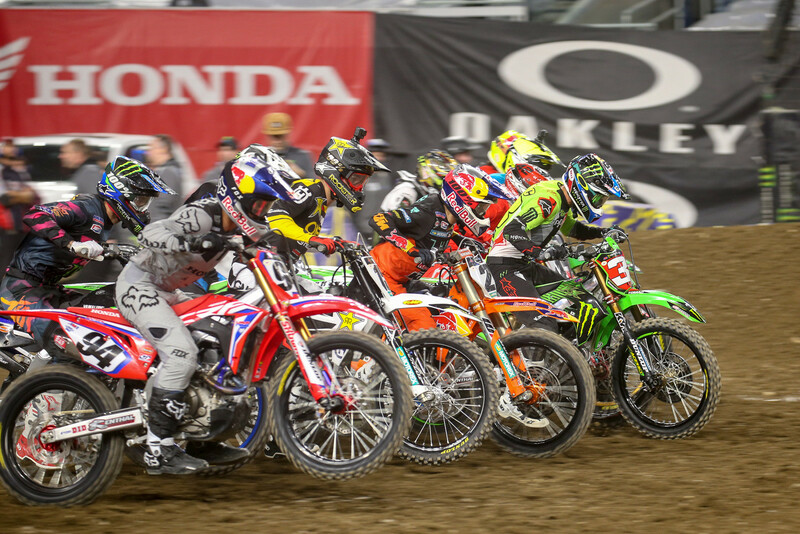 At Minneapolis, quite a few of the 450 riders appeared to fatigue more quickly than normal. I know many of the top riders are taking antibiotics in order to prevent or treat infections from Lime exposure. Top athletes and antibiotics can be a bad combination. Hopefully the mixing of antibiotics with their grueling schedule doesn’t lead to more fatigue issues moving forward. It would be a shame if the 2019 championship was overshadowed by the Lime issue. This season is shaping up to be a series for the ages. The Lime situation aside, Minneapolis proved the 2019 on-track racing is glorious. I honestly don’t remember an opening six rounds that have been more unpredictable than what we’ve experienced so far. Who would have guessed Ken Roczen would be holding the red plate and still not have a single victory? Being completely honest, I had written off Cooper Webb as a 450 rider. I didn’t think he had what it took to compete on the bigger bike, but he has won half of the races so far, and looks like the strongest rider in the series. Watching Webb in Minneapolis reminded me of his 250 days. He believes he’s the best rider and is making moves like he expects to win. Webb attacks the track like he owns it and if somebody doesn’t stop his momentum; we might be crowning him 450 Champion in May. Eli Tomac is back to his old tricks, and not in a good way. 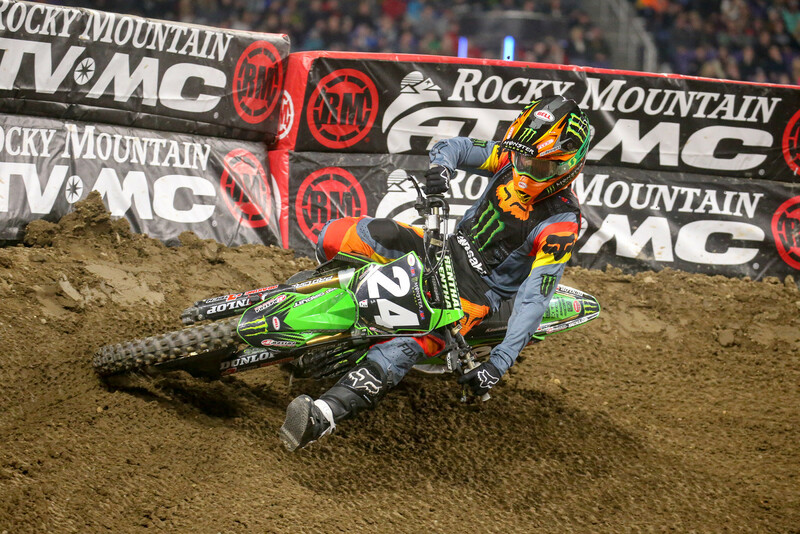 Tomac shows superhuman speed on some nights and looks ordinary on other nights. In fairness he did move up from 16th on the first lap to an eventual sixth-place finish. For most riders this is a solid night, but with Tomac we have grown accustomed to expect more. How can someone be so fast on certain nights and “merely” regular on others? Where does his speed go? I imagine Tomac and everyone around him is wondering that same thing. If he can find his superhuman speed on a regular basis he would run away with this series. Minneapolis marked the start of the 250 East series and Austin Forkner wanted to let everyone know he is here to win. Forkner was determined to be fast every time he hit the track. Can he sustain this intensity or will his aggression bite him? 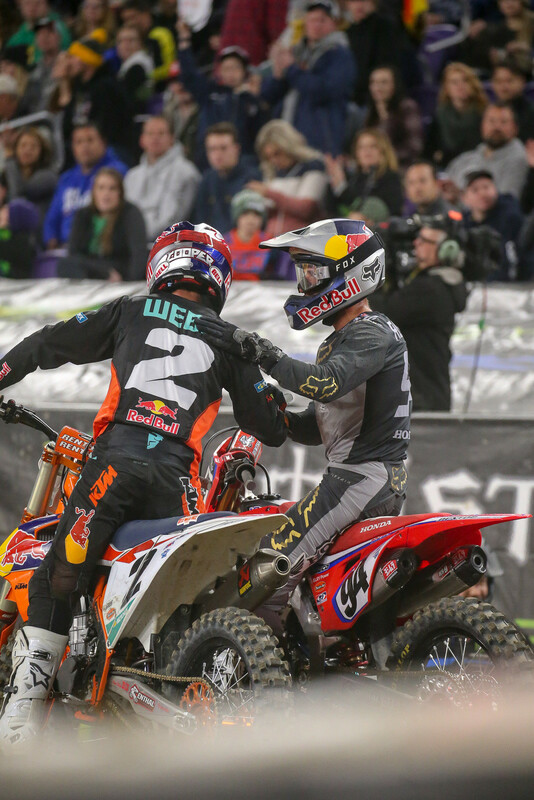 The 250 East riders look like a bull in a china shop, and the LCQ was flat out crazy! The amount of havoc in the 250 LCQ was something straight from the script of Supercross The Movie. Hearing someone describe the mayhem I would have thought they were they exaggerating, but no, it was all true! Riders flying off the track, riders being used as traction, and so much more. The 250 LCQ had more of a “Hunger Games” feel than a race. I empathize with any family or friends of racers who end up in the 250 LCQ. The mayhem continued into the 250 main event. 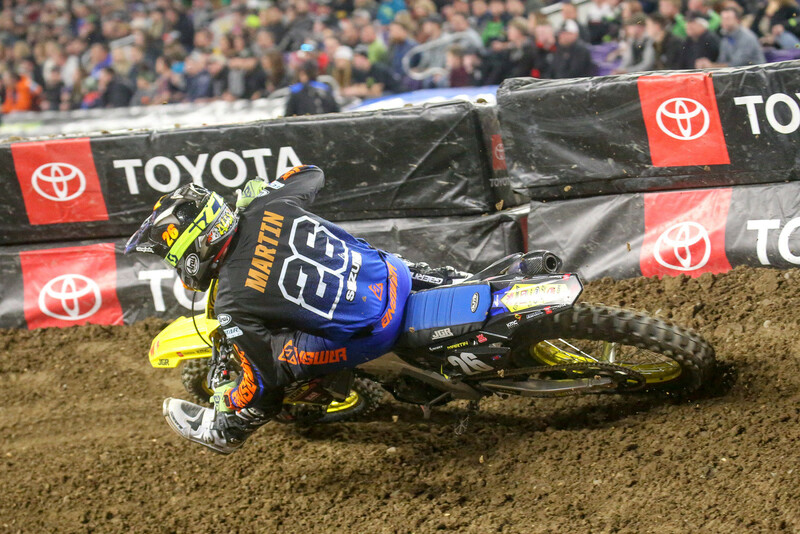 Alex Martin used Martin Davalos as a berm, only to have the favor returned by Justin Cooper later in the race. Often, passing comes down to riders playing old-fashioned chicken; who will give the line? Many times, when lines converge, both riders anticipate an imminent collision and the line goes to the rider willing to gamble mutually assured destruction. In the 250 class, we see destruction far more than in the 450s. In the premier class, they know who has the speed or edge that night, and are usually not willing to ruin both riders’ evening for the position. In Minneapolis, it took a little aggression to pass, but was it worth creating enemies this early in the season? Time will tell, but don’t take a bathroom break during any of the 250 races. Who knows what will go down? Dallas will be an extremely important race for the 450 contenders. If Cooper Webb can win again, the series could become a runaway. Tomac, Roczen and Marvin Musquin all need to step up and stop Webb’s momentum or this series could become Coop’s.